Draft: 2008, Arizona Diamondbacks, CAth rd. Graduated from Loranger (LA) High School in 2005...went on to play collegiately at Southeastern Louisiana University where he led the Southland Conference with 119 strikeouts as a junior in 2008, the second-highest single-season total in school history and sixth-best in nation...named to the All-Southland Conference First-Team...finished his career with 259 strikeouts, which ranks second on the school's all-time list...would have his No. 33 retired by the school in February of 2017...Selected by Arizona in the first round of the 2008 draft with the 43rd overall pick...Has been traded three times in his professional career, going from Arizona to Boston, Boston to Seattle and Seattle to Baltimore...reached free agency for the first time in his career in the 2017-18 offseason before signing a minor league deal with Milwaukee in February of 2017...signed by Houston to a one-year Major League contract for the 2019 season on Feb. 1, 2019. Signed as a minor league free agent with an invite to Major League Spring Training on Feb. 14...suffered a groin strain while fielding a bunt on March 21 vs. OAK and was reassigned to minor league camp on March 28... began a minor league rehab assignment on April 17 with Double A Biloxi and made three starts before being selected to the Major League roster on May 2...made two starts before hitting the DL with a strained right oblique and spent close to two months recovering and rehabbing before returning to the active roster for good on July 12...rejoined the Brewers rotation to finish his regular season with a 5-2 record and a 2.57 ERA (23ER/80.2IP) in 16 starts overall...he did not allow more than three earned runs in a start all season and allowed two or fewer earned runs in 13 of his 16 outings...in his 80.2 innings pitched, he allowed only three home runs on the season for a 0.33 home runs per 9.0 ratio, good for third in the Majors, trailing only Blake Treinen (0.22) and Jordan Hicks (0.23) (min. 75IP)...he allowed just a .237 opponent batting average, including a .225 mark against left-handed hitters... continued his regular season success into the postseason, making four playoff appearances for the Brewers, all starts, and posting a 1.23 ERA (2ER/14.2IP) in those contests...starts Games 2, 5, and 6 in the ALCS...faced just one batter in his Game 5 start (walk to Cody Bellinger). Totals - Was 11-11 with 4.46 ERA (96 ER, 193.2 IP) in 32 starts with Boston. ... Leader - Led Boston in wins, starts, innings (193.2) & quality starts (17). ... Tale of Two Halves - After posting 4.80 ERA (54 ER, 101.1 IP) with 73 strikeouts in 18 first-half starts, posted 4.09 ERA (42 ER, 92.1 IP) with 74 strikeouts in 14 starts in the 2nd half. ... Durable - Is one of four lefties (and 13 pitchers overall) to have 32+ starts in last 3 seasons (2013-15)…his 98 starts since 2013 are most by a lefty pitcher and T-3rd overall in the Majors. ... Milestone - Struck out Jacoby Ellsbury on April 10 for his 500th career strikeout. ... For The Win - Went 5.0+ innings in final 20 starts June 16-Sept. 30, including 6.0+ innings in 10 straight Aug. 2-Sept. 24…joined Jon Lester (4x) as only Red Sox left-handers with 5.0+ innings in 20+ consecutive starts since Bruce Hurst June 2-Oct. 6, 1985 (22 consecutive). ... Complete Me - Threw his first career complete game Sept. 5 vs. Philadelphia (9.0,5,2,2,0,8). ... Consistent - Was 6.1 innings short of his third straight 200.0-inning season…his 193.2 innings were the most by Red Sox pitcher since Jon Lester in 2013 (213.1) and most by a Boston starter other than Lester since John Lackey in 2010 (215.0). ... A.L. West - Went 5-1 with a 2.21 ERA (13 ER/53.0) in 8 starts against AL West opponents, the best ERA by Boston pitcher against A.L. West (min. 4 GS) since Jon Lester in 2010 (2.04). ... Caught Leaning - Career-high tying 5 pickoffs, T2nd in A.L. behind Seattle's Joe Beimel (6). ... Century Mark - Threw 100+ pitches in 21 starts, joining Jon Lester (2009-13) as the only Red Sox left-handers since 1993 with as many as 20, 100+ pitch games in a season. Went 8-12 with a 4.34 ERA in his 2nd straight season with 33 starts and over 200 IP (201.1)...Led the Diamondbacks and ranked among NL leaders in SO (12th, 183) and IP (13th)...Among NL left-handers, only Clayton Kershaw (239), Madison Bumgarner (219), and Cole Hamels (198) had more strikeouts...Ranked 9th among ML lefties with a career-best 8.2 SO/9.0 IP...Had a 3.17 ERA (37 ER/105.0 IP) in 17 road starts compared to a 5.61 ERA (60 ER/96.1 IP) in 16 home starts...Gave up more than 3 ER in only 3 of his 17 starts on the road...Tied for the NL lead in no-decisions (13), with 23 of his 33 starts decided by 1 or 2 runs...His 33 starts tied Bumgarner for the lead among NL left-handers, 1 shy of the overall ML lead (10 pitchers with 34 starts)...Placed 9th among National Leaguers in ground ball-fly ball ratio (1.99)...Was the Diamondbacks' Opening Day starter, suffering the loss on 3/22 vs. LAD in Sydney, Australia (3 ER/5.0 IP)...Set a career high with 11 SO on 5/27 vs. SD (7.0 IP), the most by a D-Backs lefty since Randy Johnson on 8/22/08 vs. FLA (13)...Followed that with 9 SO in his next start on 6/1 vs. CIN (6.0 IP)...Posted a 3.53 ERA (20 ER/51.0 IP) over his final 9 starts of the season beginning on 8/10...Did not allow a HR over his last 5 starts beginning 9/2 (25.1 IP). Went 10-10 with a 3.55 ERA (80 ER in 202.2 IP) in 33 starts in his second full season with Arizona... Achieved 30 starts and 200.0 innings for the first time... Is the 12th D-backs pitcher (fourth lefty) with 10 wins, 30 starts and 200.0 innings in a season…other southpaws are Randy Johnson (5 times), Patrick Corbin (once) and Joe Saunders (once)... Allowed 2 earned runs or less in 20 starts, tied for the eighth-most in the NL... Did not factor in the decision in 13 starts, tied for second- most in the NL…credited with 6 wins lost, tied for the most in the NL with Gio Gonzalez…a win lost is when the pitcher faced his final batter he was in position to win, but the game was blown by the bullpen... Was 6-3 with a 2.67 ERA (32 ER in 107.2 IP) in 17 starts after July 1…the 2.67 ERA and 107.2 IP were sixth-best in the NL during that span... Ranked third in the NL with a 67.0 ground ball percentage, trailing A.J. Burnett (72.4) and Jeff Locke (67.0)... Went 7-1 when inducing at least 12 ground-ball outs (3-9 otherwise)…opponents hit into 23 double plays... Hit first career home run on April 22 @ Giants, the first by a left-handed hitting starting pitcher @ AT&T Park... On April 27 vs. Rockies, became the first pitcher in club history to walk at least 4 batters in an inning without giving up a run…was the first pitcher in MLB to do so since the Reds' Francisco Cordero on Sept. 27, 2011 @ Mets (last starter: Giants' Jonathan Sanchez on April 30, 2011 @ Nationals)... Career-high 13.2-scoreless inning streak from June 26-July 6... Allowed 3 earned runs or less in 20 of final 22 starts, including a career-high 12 straight from June 5-Aug. 6. Earned The Sporting News National League Rookie of theYear honors and finished second in the BBWAA Rookieof the Year voting, going 16-11 with a 3.33 ERA (72 ERin 194.2 IP) in 32 games (29 starts)...16 wins were themost by a NL rookie since the Rockies' Jason Jennings in2002...Named to his first NL All-Star Team, the first D-backsrookie to receive the honor and 17th rookie pitcher (firstsince Marlins' Dontrelle Willis in 2003)...Selected by the Arizona Chapter of the BBWAA asthe D-backs' Most Valuable Pitcher and Rookie of theYear, only the second pitcher in club history to win bothawards(Brandon Webb in 2003)...Ranked among NL pitchers in walks per 9.0 IP (5th,1.71), strikeout-to-walk ratio (6th, 3.89), wins (T-6th),home runs per 9.0 IP (7th, 0.65) and ERA (10th)...Led all NL rookie pitchers in winning pct. (.593), ERA,wins, quality starts (18), strikeouts (144), innings pitchedand ranked third in opponent average (.255)...Established club rookie records in wins, starts and innings pitched...His .290 opponent on-base percentage was the lowest bya rookie lefty since Fernando Valenzuela in 1981 (.270)...9 wins prior to the All-Star Game were tied for the ninth most in the NL...Went 2-1 with a 0.83 ERA (2 ER in 21.2 IP) in Interleague Play...0.83 ERA was the fourth-lowest in the Major Leagues, trailing Matt Harrison (0.33), Jose Quintana(.042) and Jake Peavy (0.81)...Tossed 4.0 hitless innings on April 8 vs. Giants, second longest hitless outing by a D-backs' reliever in team history (Max Scherzer, 4.1 IP on April 28, 2008 vs. Astros)...Is 1 of 4 pitchers in D-backs' history to toss at least 6.0innings with 2 hits or less in consecutive starts from April23-29, joining Josh Collmenter (May 14-19, 2011), IanKennedy (Sept. 6-12, 2010) and Randy Johnson (July 18-24, 2001)...Named NL Rookie of the Month for April, going 3-0with a 1.29 ERA (3 ER in 21.0 IP) and a .133 opponentsaverage in 5 games (2 starts)...third D-backs' rookie towin award, joining Gerardo Parra (May 2009) and DanielHudson (Aug. 2010)...Set a franchise record for a pitcher with an 8-game hittingstreak from April 14-June 1 (.450, 9-for-20)...Allowed 1 run or less in at least 7.0 innings in 4 straightstarts from June 6-24, becoming the second lefty in clubhistory to do so (also Randy Johnson)...1 of 5 NL rookies since 1969 with 12 wins before Aug.1, joining the Reds' Wayne Simpson (14 in 1970), Expos'Carl Morton (14 in 1970), Dodgers' Kazuhisa Ishii (12 in2002) and Braves' Craig McMurtry (12 in 1983)...Earned his 14th win on Aug. 22 vs. Marlins, becoming thefirst rookie pitcher in baseball with at least 14 wins and anERA under 3.00 in his first 25 games since the Orioles'Mike Boddicker in 1983 (15-7, 2.58 ERA)...Batted .169 (11-for-65) with 2 doubles and 2 RBI...started 10-for-24 (.417) before going hitless in his last 31at-bats. Spent the majority of the season with Double-A Mobile and Triple-A Reno and went 8-3 with a 4.30 ERA (62 ER in 129.2 IP) in 22 starts...also was 4-2 with a 4.50 ERA (20 ER in 40.0 IP) in 8 games (7 starts) with the D-backs...Named Pacific Coast League Pitcher of the Week for Aug. 8-14...threw his first-career, 9.0-inning complete game on Aug. 13 @ New Orleans, allowing 1 run with 9strikeouts and a stretch of 22 straight batters retired...Had his contract selected from Reno on Aug. 16...Suffered the loss in his Major League debut on Aug. 20 @ Braves, allowing 5 runs over 4.0 innings...with his fifth-inning single, joined Daniel Hudson (Aug. 1, 2010 @ Mets) and Edgar Gonzalez (June 1, 2003 @ Padres) as the lone D-backs pitchers to record a hit in their debut...Earned his first win on Aug. 30 vs. Rockies, becoming the fifth rookie to get the win in his Chase Field debut, joining Josh Collmenter (April 17, 2011 vs. Giants); Geraldo Guzman (July 17, 2000 vs. Mariners); Daniel Hudson (Aug. 6, 2010 vs. Padres) and John Patterson (July 25,2002 vs. Padres)...Entered the season ranked as the D-backs No. 4 Prospect by MLB.com and No. 8 by Baseball America. Named the D-backs' 2010 Minor League Pitcher of the Year after finishing second in the organization with a 2.65 ERA (45 ER in 153.0 IP) and posting a combined 9-7 record with Single-A Visalia and Double-A Mobile...Opened the season with Visalia...tossed a season-high 13.2 consecutive scoreless innings while going 2-0 and limitingopponents to a .163 average from May 5-10...Promoted to Mobile on June 24...Did not lose a decision over 6 straight starts from July 16-Aug 13 while posting a 2.73 ERA (10 ER in 33.0 IP)...Tossed a season high 8.0 innings, allowing just 1 run while striking out 3 on July 16 vs. Jacksonville. Opened the season with Single-A South Bend...Struck out a career-high 7 batters on April 16, May 5 and May 26...Tossed a career-high 8.0 innings on May 10 vs. Wisconsin...Promoted to Visalia on Aug. 25... went 1-1 with a 4.80 ERA (8 ER in 15.0 IP) and 11 strikeouts in 3 starts for theRawhide...Limited lefties to a .190 average (4-for-21) with 6 strikeouts while with Visalia...Won his first decision with the club on Aug. 25 @ San Jose after tossing 6.0 innings and allowing just 2 runs. Made his professional debut with Single-A Yakima on Aug. 3 vs. Boise, striking out 2 over a scoreless inning...Earned his first career victory after recording 2 strikeouts in 2.0 perfect innings on Aug. 11 vs. Everett...Struck out a season-high 3 batters on Aug. 31 @ Tri-Cities. February 1, 2019 Houston Astros signed free agent LHP Wade Miley. 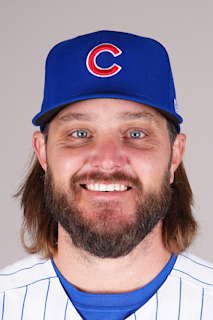 October 29, 2018 LHP Wade Miley elected free agency. July 12, 2018 Milwaukee Brewers activated LHP Wade Miley from the 60-day disabled list. June 22, 2018 Milwaukee Brewers sent LHP Wade Miley on a rehab assignment to Biloxi Shuckers. May 12, 2018 Milwaukee Brewers transferred LHP Wade Miley from the 10-day disabled list to the 60-day disabled list. Right oblique strain. May 9, 2018 Milwaukee Brewers placed LHP Wade Miley on the 10-day disabled list. Right oblique strain. May 2, 2018 Milwaukee Brewers recalled LHP Wade Miley from Biloxi Shuckers. February 16, 2018 Milwaukee Brewers signed free agent LHP Wade Miley to a minor league contract and invited him to spring training. November 3, 2017 LHP Wade Miley elected free agency. April 9, 2017 Baltimore Orioles activated LHP Wade Miley from the 10-day disabled list. April 2, 2017 Baltimore Orioles placed LHP Wade Miley on the 10-day disabled list retroactive to March 30, 2017. Upper respiratory infection. October 5, 2016 Baltimore Orioles activated LHP Wade Miley. October 4, 2016 Baltimore Orioles reassigned LHP Wade Miley to the minor leagues. September 30, 2016 Baltimore Orioles activated LHP Wade Miley from the paternity list. September 27, 2016 Baltimore Orioles placed LHP Wade Miley on the paternity list. August 2, 2016 Baltimore Orioles activated LHP Wade Miley. June 29, 2016 Seattle Mariners activated LHP Wade Miley from the 15-day disabled list. June 24, 2016 Seattle Mariners sent LHP Wade Miley on a rehab assignment to Everett AquaSox. October 10, 2011 Arizona Diamondbacks activated LHP Wade Miley. October 1, 2011 Arizona Diamondbacks reassigned LHP Wade Miley to the minor leagues. August 16, 2011 Arizona Diamondbacks selected the contract of LHP Wade Miley from Reno Aces. July 1, 2011 Wade Miley assigned to Reno Aces from Mobile BayBears. April 25, 2011 Wade Miley assigned to Mobile BayBears. April 13, 2011 Mobile BayBears placed LHP Wade Miley on the 7-day disabled list. Sore left shoulder. March 30, 2011 Wade Miley assigned to Tigres de Quintana Roo. January 19, 2011 Arizona Diamondbacks invited non-roster LHP Wade Miley to spring training. June 24, 2010 LHP Wade Miley assigned to Mobile BayBears from Visalia Rawhide. March 7, 2010 LHP Wade Miley assigned to Arizona Diamondbacks. August 23, 2009 Wade Miley assigned to Visalia Rawhide from South Bend Silver Hawks. June 26, 2009 Wade Miley roster status changed by South Bend Silver Hawks. June 13, 2009 South Bend Silver Hawks placed LHP Wade Miley on the 7-day disabled list retroactive to June 12, 2009. Sprained left foot.